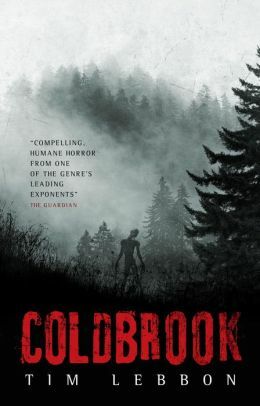 The facility lay deep in the Appalachian Mountains, a secret laboratory called Coldbrook. Theirs was to be the greatest discovery in the history of mankind, but they had no idea what they were unleashing. Now the disease is out and ravaging the human population. The only hope is a cure and the only cure is genetic resistance, an uninfected person amongst the billions dead. In the chaos of global destruction there is only one that can save the human race. Any word on a U.S release? John, nothing yet, watch this space. I’m about 300 pages in and I cant put it down. If the rest of the book is like what I’ve read, then this might surpass Dusk as my favorite book of yours. Got it yesterday. Finished it today. Thoroughly entertaining on every level; the kind of book that I would hope to write. One day. Just finished it, really enjoyed the story. Any plans for a sequel? Lots of different Earths there to be explored! If ever there was a book screaming to be made into a slick, high budget Sci-Fi flick, then this is it. Pure brilliance! Good enough story but you need a new editor. In America our cars do not have bonnets or wind screens and bikers do not offer cake and ice cream at “tea”. Glenn, the language barrier strikes again! Hope it didn’t spoil your enjoyment. The book was first published in the UK by a different publisher, probably why these slipped through. Just finished this book, loved it so much! Will there be a second part to this book? I need to know what’s going to happen next. 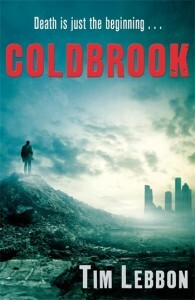 Is there a second installment of Coldbrook? Great book, but how did the virus spread beyond the Americas so quickly (if at all)? Bites turn victims so quickly that the hooters could take out a plane before it landed on another continent and ships are pretty slow moving. Good point … although because of speed of transmission I guess it’d only take a few planes out of thousands to land and spread the disease. Glad you liked it! If and when will there be a sequel? Hmmm, nothing on the horizon, but I’ll never say never. Please please please make a sequel. I absolutely hate reading but this book kept me glued to every word. Just hated how it ended and would love to see what happens with the cure!!!! Ok… when will the sequel be released? This is a book that I read in 13 hours, due to not being able to put it down or fall asleep until I had read the final word! Is there a way to buy a hard back version? Sadly Coldbrook has thus far only appeared in paperback. If that ever changes it will be a news page item.